Just last night The Vampire Diaries had their own attempt at pulling a Buffy with their own Angel spinoff. By which I mean last night’s episode was a pilot for The Originals, focusing on original vampire clan, the Mikaelson family. It came as no surprise that the spinoff is officially a go. The CW had strong support for the spinoff since the get-go, so it was safe to assume their decision was made long before the pilot aired. 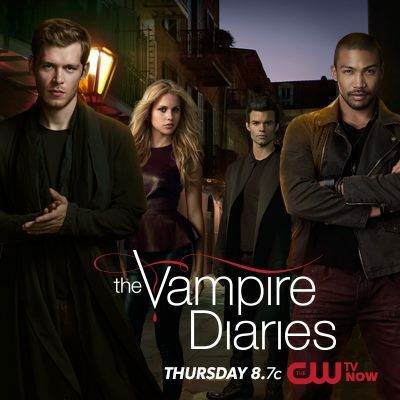 I was apprehensive about the plan since I enjoyed the Mikaelsons on The Vampire Diaries. But the more I think about it, the more it makes sense. The Originals nearly steal the show and it’s hard not to keep them up front and center. There’s also the thought of The Originals and The Vampire Diaries possibly having crossovers, and it would be fantastic.